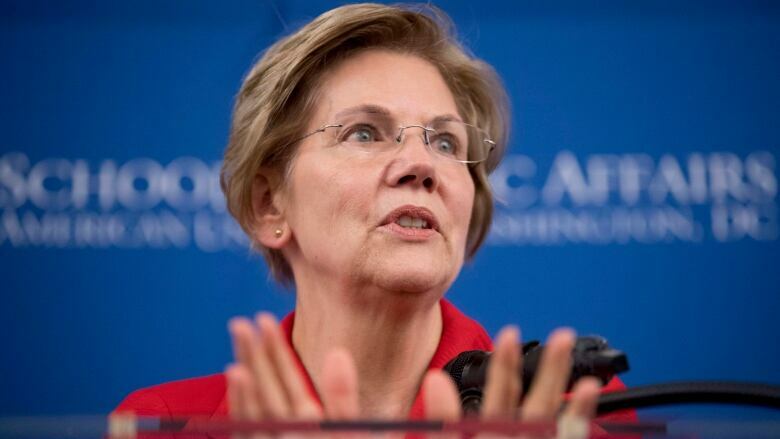 U.S. Sen. Elizabeth Warren is expected to announce her bid to run for president. But many Native Americans say she still needs to properly apologize for claims about her Indigenous heritage, and say she contributed to stereotypes about Native and Cherokee identity. 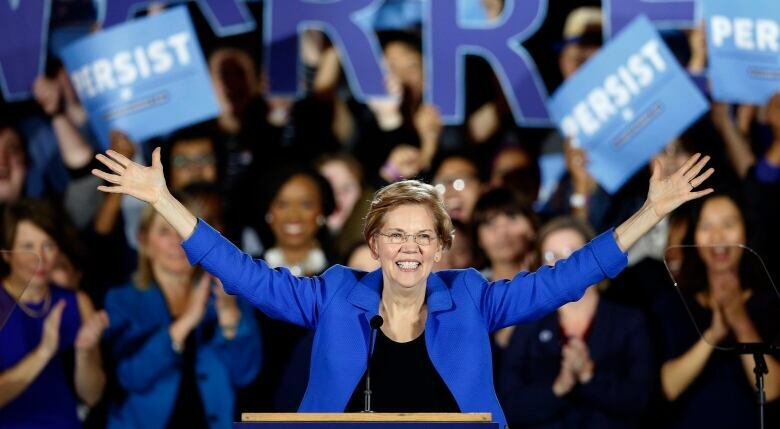 Elizabeth Warren is expected to announce her bid to run in the 2020 presidential elections on Saturday. However, controversy still surrounds the U.S. Democratic senator regarding claims she made about her identity. Warren apologized for the second time in two weeks for claiming to have Indigenous heritage. This comes after the Washington Post reported Tuesday that she listed her race as "American Indian," in her handwriting, on a 1986 registration card for the Texas state bar. Addressing the issue in front of reporters Wednesday, she said her understanding of her identity was based on "family stories." Questions about Warren's identity have been in the air since 2012. Rebecca Nagle, a Cherokee writer and activist, is among other Native Americans who say that Warren could have handled the situation better. Here is part of her conversation with As It Happens host Carol Off. As you know, Sen. Warren has apologized to Chief Bill John Baker of the Cherokee Nation, and she's done that in front of reporters several times this week — apologized. Why isn't that enough? I think that the harm that Elizabeth Warren made through taking the DNA test and using race-based science, and this whole idea of blood to lay claim to a relationship to a tribe and to having Cherokee ancestry, caused a lot of public confusion about Cherokee heritage, Cherokee genealogy, Native identity, tribal sovereignty to the public that doesn't know very much about us, and knows very little about those subjects. To make the harm that she caused right, she needs to clear up that confusion. And I don't think her actions have met that yet. What would she have to do, to do a satisfactory apology in your view? She is still saying you know "I grew up with these stories" — and what she needs to say is that the stories that she was told as a child, as an adult, now she realizes that they're not true. You know, a lot of people in the United States have stories of having a great-great-great Cherokee grandmother and most of the time it's not based on reality, but it's based in the sort of myths and the stereotype that white people carry about Native and Cherokee identity. Cherokee genealogists very early on in 2012 did her genealogy, found that the people that she was claiming were Cherokee in her family are, in fact, well-documented white people [and] presented her that information. And she's had it now since 2012. She said that it was based on her understanding of her family folklore that's who she was, that she was Cherokee. ... So isn't that what she's now saying, "OK, now I understand that's not true, but how do I apologize for my assumptions on family lore?" I think she hasn't totally said that. She's still dancing around it. She's making a very important point that she's not a tribal citizen, and that tribes determine tribal citizenship, and she's not a citizen, but she has not publicly stated that the stories she was told as a child aren't true, and she has not publicly stated that she's not part Cherokee, or that she doesn't have Cherokee heritage. Saying that you have Cherokee ancestors — you're saying that your family went through and survived the genocide that our people went through. It'd be like somebody claiming that their ancestors were survivors of the Holocaust when they're not. She once was a law professor at the University of Texas in the 1980s when she wrote on a document that her ethnicity is American Indian. Did she benefit in any way from claims on all these documents during her law career? Warren says, "Well, I never checked the box, I never used this to get a leg up," which, you know, fine if you didn't. But I think what bothers me about that statement is that implies that Native people and other people of color who did check the box somehow use that to their advantage. And to me that sounds a lot like the way that people on the right in the United States attack affirmative action. You know, they say people that get into Harvard or get a teaching job at a university don't really deserve it because they just got it because they're Native American. Now, I know that politically you're a Democrat and of course Elizabeth Warren is poised to make a pitch to become the Democrat candidate for presidency. How damaging is this for her bid, her launch to become president of the United States? I think from my perspective, it's extremely damaging. I really hope that she does not advance to be the Democratic nominee. I hope what can happen within the Democratic Party is that we can find leaders who are genuinely accountable. Warren is welcome to prove me wrong. But for me, I don't reserve a lot of hope for that action just because she has spent years now avoiding doing that. And I think that that avoidance of taking accountability for her mistakes on this issue really undermines her credibility. Written by Zahraa Hmood with files from the Associated Press. Interview produced by Kate Swoger. Q&A has been edited for length and clarity.